Early in Leigh York’s colorful career an eventful sale involving missed medication, a fire, and a rolled pickup taught her to keep calm in the midst of craziness. She has learned that however she reacts to a situation is exactly how her client will react, so it is best to model level–headedness. 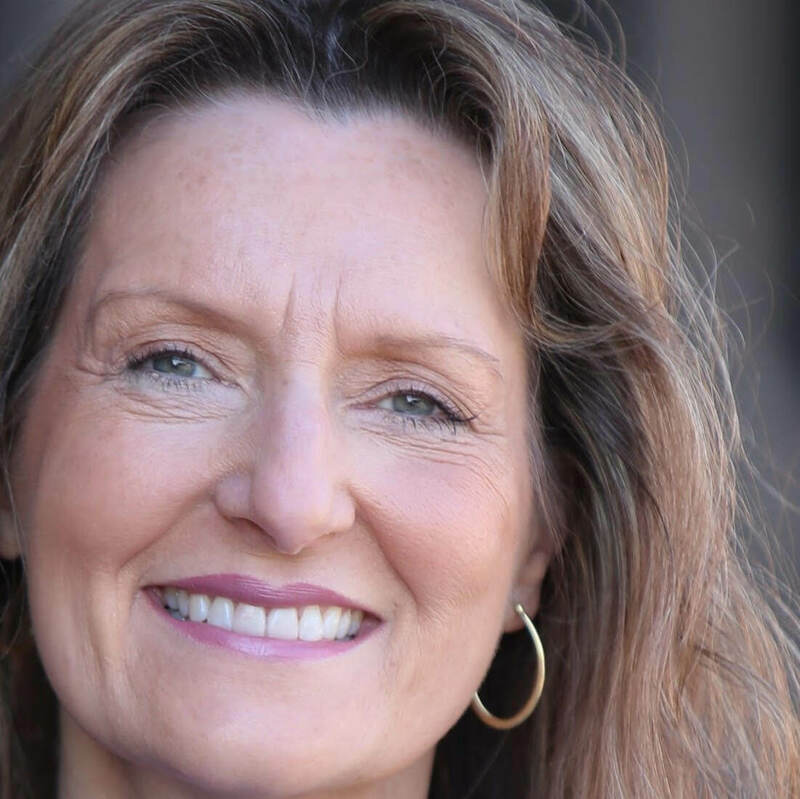 Leigh is also working to at the National Association level to set industry standards for realtors and instructors that would keep them active in the field while teaching in order to stay fresh. 0:50 – The third–generation of her family in real estate, Leigh started “before the turn of the century” exclusively in farm and ranch. That morphed into development. Now, rather than drive over 5 counties, she covers half of one very large county in Fort Worth, TX. 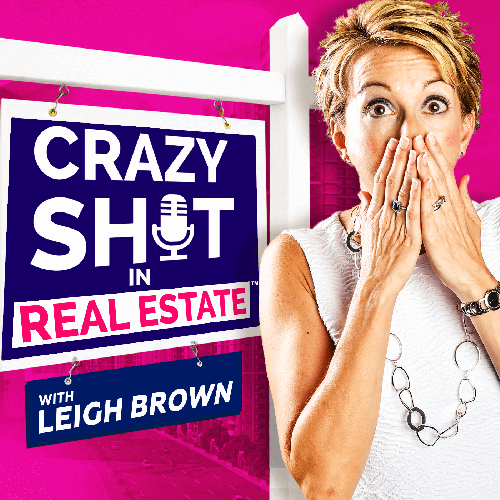 1:40 – Leigh also loves to travel, teach, and speak to other realtors. She also does consulting on culture for other businesses. Got to do it all! 3:34 While she was doing predominantly farm & ranch, Leigh sold a piece of property. She met with a sweet, wonderful woman selling her little house on a large piece of property––more or less the family farm. 4:40 – The seller explained that all of her kids wanted the property and if she died they would just fight over it, so she wanted to sell it. 5:00 – Leigh lists the property, gets it on the market, and communicates frequently with the seller. The lady mentions that her oldest son is upset, but he shouldn’t be a bother. 5:30 – Within about ten days of closing, Leigh’s husband, who happens to be the volunteer Fire Chief in the area, calls to say there’s a fire on the property. 6:40 – When Leigh arrives she sees that the grass from the front of the house all the way out to the road is blackened. But she’s got good real estate karma. 7:20 – The son had decided that if he couldn’t have the house, nobody could—and he was going to burn it down. He goes behind the house, sets a fire about 10 feet away, and leaves. The fire burns to within one foot of house, splits and burns around the house, then meets at the front of the house and burns all the way to the road. It never touched the house! 8:30 – Before Leigh can call the owner, her cousin, the City Marshall, calls to let her know that the son is en route to the hospital to be admitted to the psychiatric ward. 9:00 – The son apparently had mental health issues and had not been taking his medications for a few days. He had gone to a neighboring town, taken a pickup truck on a test drive without a salesperson, driven to his mom’s house to set it on fire, and on the drive back to the dealership rolled the pickup! 9:40 – So now Leigh has to call the mom/seller and tell her that not only was her place on fire, but that her son is in the hospital and on his way to jail. 10:00 – While she’s on the phone with the seller, the rep for the buyer is trying to call because of course the buyer has family in the area and has heard about the fire. 10:45 – The seller’s response was calm. She replied, “OK, you go handle the buyers and I’ll take go care of the kid.” So they continued the negotiations. 11:00 – The house was OK and the grass was going to grow back, so they just replaced some fence posts. It didn’t even delay closing––everything was fine! 11:35 – However you react to a situation is exactly how your client is going to react, so keep calm and let your client reflect that good behavior. 11:50 – This kind of calm behavior is what can set you apart as a realtor. If you fly off the handle to protect your client, it’s not going to help. So much of a realtor’s skill is reflected in the way they convey information. 13:00 – Real estate instructors can help their students by talking about the psychology of what they do. If Leigh is teaching a class on contracts, she doesn’t just teach people how to fill in the blanks. She also talks about who they’re representing, what they’re going to talk about with the client, and how that conversation might sound. 13:50 – They role play or talk it through so that they can know how to stay calm when the other party doesn’t agree with what goes in the blank on the contract. How do we train buyers to select the right representative? 14:20 – We have to coach consumers to interview their representative. Don’t just take whoever answers the phone. 15:45 – We need to pay more attention to who gets to be an instructor. They need to be active in the market. If you haven’t handled a transaction in 6 months, you don’t have as much credibility as someone who is on the phone with a client right before she comes to teach. The market changes day to day. 16:30 – Leigh Brown is a volunteer leader in the Residential Real Estate Council – a group of realtors who want to focus more on education and who carry the CRS designation. During her volunteer presidential year, they implemented new standards for instructors, and it was met with some pushback and angst. 17:00 – They had some instructors who had not sold anything in 40 years! While the mechanics of selling may have stayed mostly the same, the entire climate has changed, consumer expectations are different, and the legal side has moved dramatically as regards liability. 17:30 – Being active in selling makes Leigh York a better instructor and speaker, and being an instructor and speaker makes her a better seller in her market. Each aspect helps the other. 20:30 – It does seem like all of this begins with people being nicer to each other. 20:45 – Contact Leigh York at Leigh@LeighYork.com, or call 817-613-2420. She’s on Facebook and Instagram as well. Stay calm and let your client reflect that good behavior. Consumers need to choose a realtor carefully—don’t just use the person who picks up the phone. Real Estate instructors need to be active in the business in order to be good teachers.